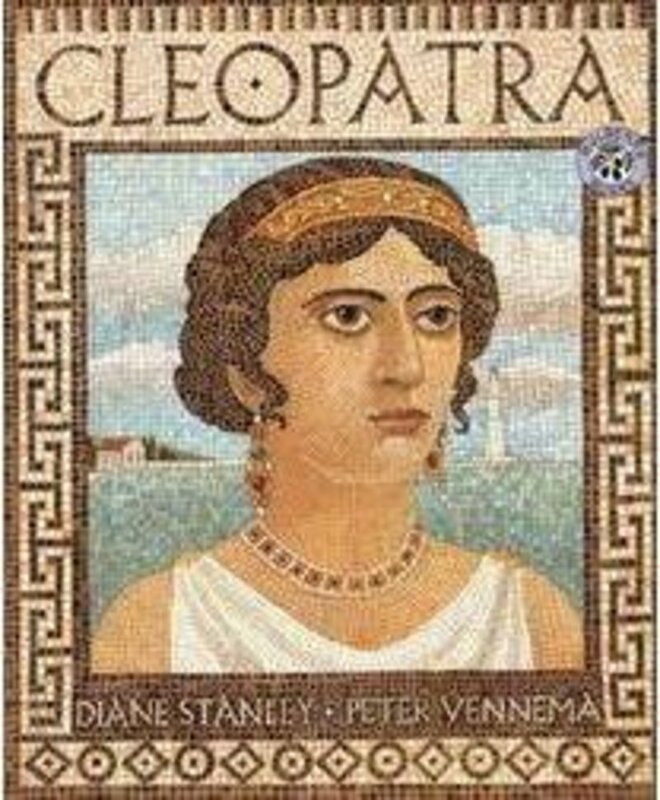 Starting with a reminder that what we know about Cleopatra may be more legend than fact, this title relays the events of Cleopatra's life from age 18 to age 34, portraying her political savvy, her romances, her banishment from Alexandria, and more. 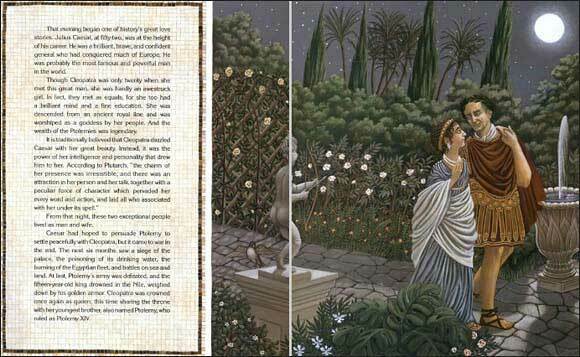 Diane Stanley's illustrations are so sumptuous and full of period details that I found myself pouring over them in order to take it all in. 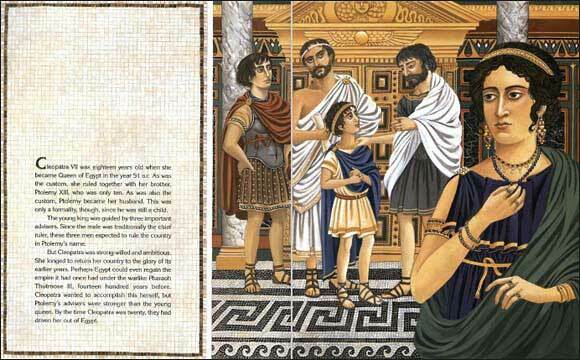 Particuarly stunning are the sections made to resemble mosaics (like the cover art or the background to the text area). As usual, it is the small details that make Stanley's illustrations not only breathtaking, but also highly educational. 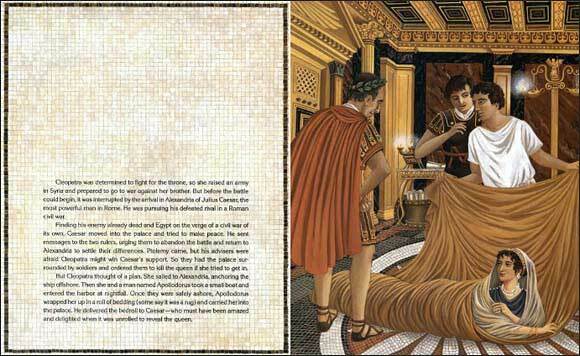 Below are sample spreads to give you an idea of the illustration style and the amount of text on each spread. As you can see, there is quite a bit of text, but it is appropriate for the intended audience.